Located in Salisbury Mass. offers family-friendly and affordable dining and serves only the freshest seafood, steaks, burgers and sandwiches. Stop by our restaurant for a quick lunch, dinner, or a beer, cocktail and appetizer with the game. 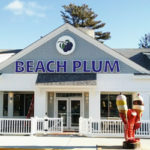 We are family-owned and operated and conveniently located on Route 1 in Salisbury MA, just over the Merrimack River bridge from Newburyport MA and only minutes from Plum Island, Amesbury MA, Newbury MA, West Newbury MA, Salisbury Beach and Seabrook NH. With plenty of parking and casual, affordable dining, All American Tavern is one of the best restaurants in Salisbury MA, Greater Newburyport MA and on the North Shore and Seacoast. Please call ahead for take-out. Reservations are accepted. China Buffet is a full-service Chinese buffet restaurant serving up the best Chinese food on our all you can eat buffet. Whether you’re in the mood for some savory Mongolian Beef or you can’t wait to sink your teeth into hot and fresh spring rolls, China Buffet has the best buffet variety of any Chinese restaurant. 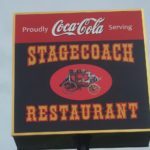 Family style restaurant serving up breakfast, lunch, and dinner. Good Fortune Restaurant is a cornerstone in the Salisbury community and has been recognized for its outstanding Chinese cuisine, excellent service and friendly staff. Counter-serve standby offering fried seafood, clam chowder & lobster rolls in an old-school setting. 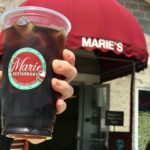 Marie’s Restaurant is proud to say that we have been a family owned and operated business since 1972. Marie (Nana) Waelter was one of the first female business owners in the town of Salisbury, MA. With nearly 5 decades of service to the town and surrounding areas of Salisbury, we are proud to continue bringing you the same level of quality and creativity we have become known for. We offer Gluten free, as well as vegetarian options. Breakfast, beverages, sandwiches, wraps, and more.